If you have fallen behind on your mortgage payments, filing for Chapter 13 bankruptcy may help you keep your home. When you file for bankruptcy, the court issues an automatic stay that immediately stops any pending foreclosure action. Chapter 13 then allows you to “reorganize” your debts and work out a payment plan with your creditors, including your mortgage lender. This allows you to catch up on any missed mortgage payments and, once your repayment plan is approved by the court, the lender cannot foreclose based on your pre-bankruptcy arrears. Is “Mortgage Rescue” a Viable Alternative to Chapter 13? Rather than file for bankruptcy, some Florida homeowners have turned to “mortgage rescue” companies when faced with a backlog of missed loan payments. Many mortgage rescue companies are scams that simply take advantage of distressed debtors. The U.S. Federal Trade Commission and the Florida Attorney General’s office have both issued public warnings to consumers about the risks of dealing with such outfits. Many mortgage rescue companies operate by convincing the debtor to sign over the deed to their home. The debtor than has an option to “lease” or buy back the property at a later date. In most cases, the debtor never regains ownership. And even when they do, it may lead to more problems down the line, as a recent Florida bankruptcy case illustrates. In this case, a woman in Hialeah was facing foreclosure on her home. She turned to a mortgage rescue company. As explained above, she signed the deed over to the rescue company with a buyback option. About 11 years later, the woman actually exercised the buy back option. She financed her repurchase with a new mortgage. Unfortunately, according to court records, she “never made all the monthly payments that were owed, missing one or two payments several times.” Eventually the mortgage holder initiated a new foreclosure proceeding, at which point the woman filed for Chapter 13 bankruptcy. Before the court, the debtor argued that the terms of her mortgage should be modified to match the payments she was actually making pre-bankruptcy–$2,000 per month–rather than the amount stated in the actual loan (about $3,300 per month). The debtor said the fact the mortgage holder cashed her $2,000 payments was evidence of an “oral agreement” to modify the terms of her loan. The court disagreed. The judge explained that under Florida law, an oral modification to a written contract, such as a mortgage agreement, is only enforceable if it “has been accepted and acted upon by the parties in such manner as would work a fraud on either party to refuse to enforce it.” The judge said that was not the situation here. Rather, the debtor “only paid when she wanted to pay but also how much she wanted to pay.” The fact that the mortgage holder did not immediately foreclose after the first missed payment was not, in the court’s view, evidence of an agreement to modify the terms of the mortgage. As an aside, the judge said she was “amazed” the debtor was able to get her house back from the mortgage rescue company in the first place. But perhaps the debtor would have better off filing for Chapter 13 bankruptcy after her first foreclosure instead of going through the process of losing, regaining, and possibly losing her house again. 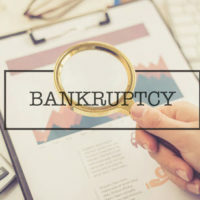 While bankruptcy may seem unpleasant, it can actually provide greater structure and sanity to your finances, which in the long run can keep you in your home. If you are in trouble with your creditors and need help from an experienced Miami bankruptcy attorney, contact the Law Office of Julia Kefalinos, P.A., today.